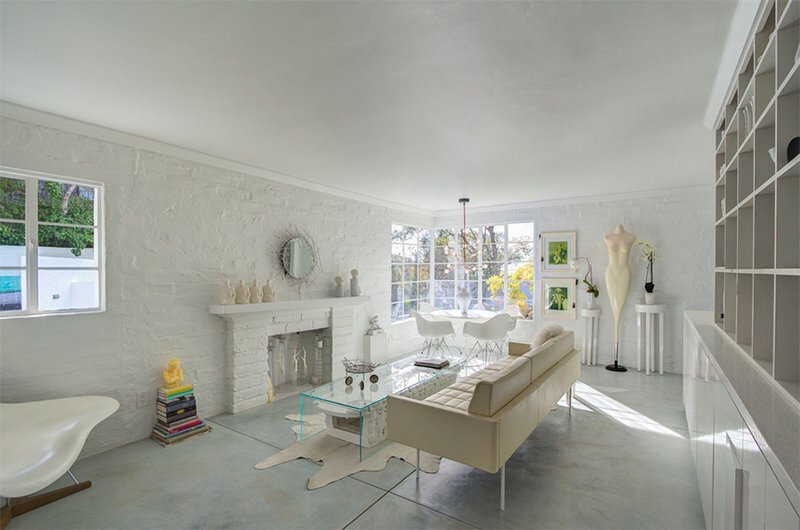 Wonder how a white brick wall would look like in the living room? Check this lovely list! There is something about brick walls that I really like. No matter what kind of space it is, I like to see a brick wall no matter how small that area is. I just like the texture and the natural feel that it brings into the interior of the home. I know you can understand what I mean. 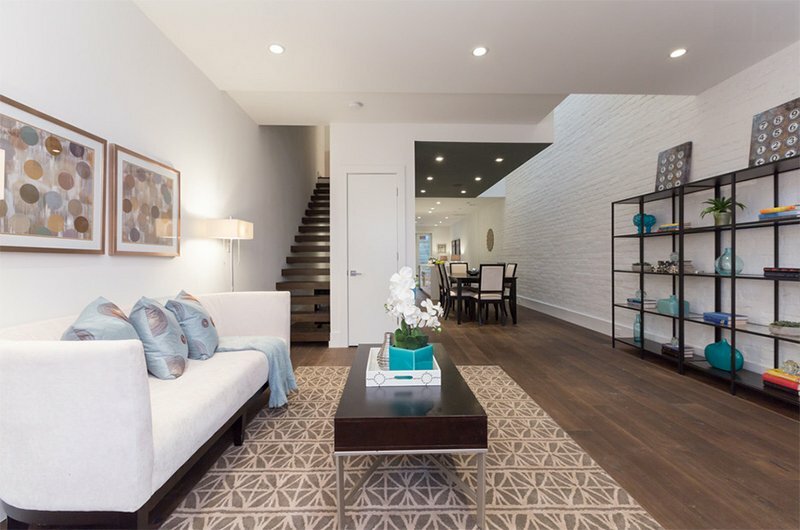 We have featured spaces with brick walls before or even some fireplace or mantels with bricks. And I know you will agree with me that they all look beautiful. 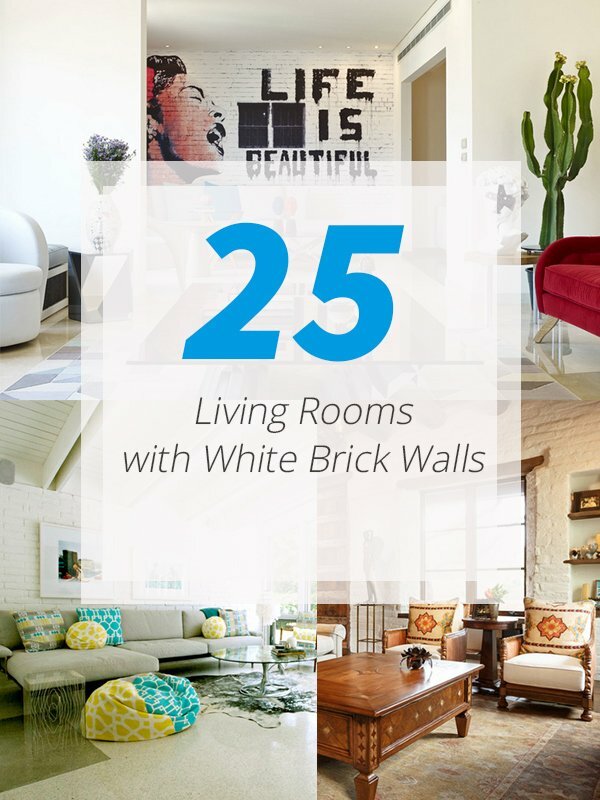 Today, we have another list to show you featuring living rooms with white brick walls. The openness of the area makes it beautiful and relaxing. 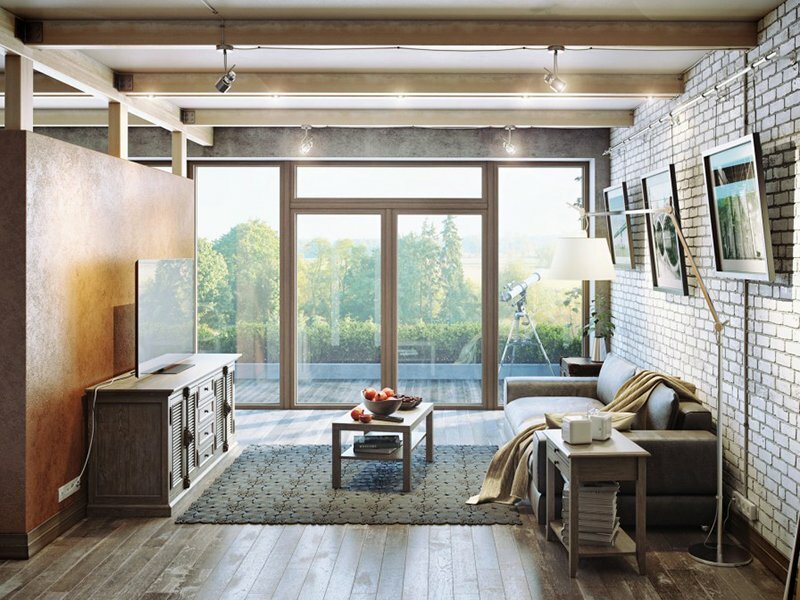 A glass door and windows are used for the space with a brick wall on one side and a texture wall on the other. And they look nice with the wooden flooring too. 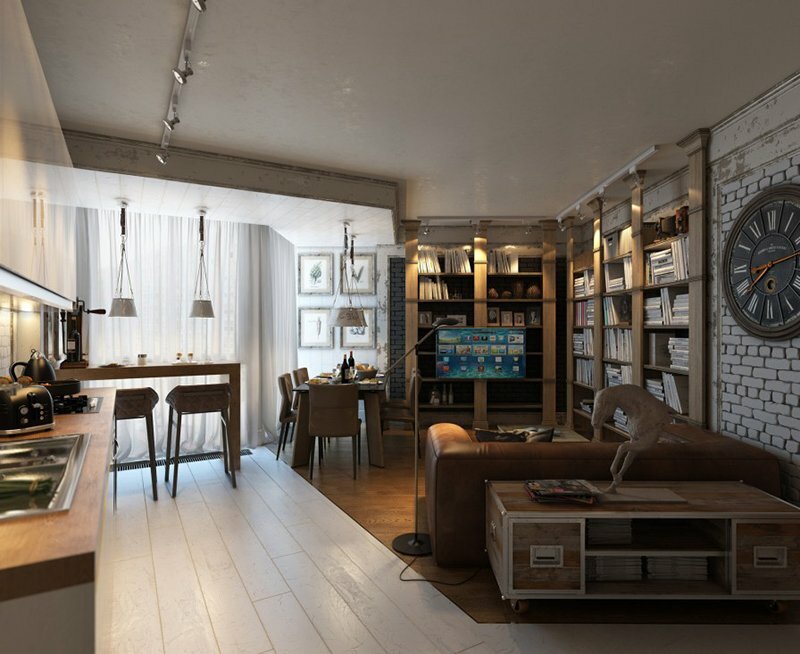 With the looks of it, you can tell that the apartment isn’t that spacious but it does look really nice with its masculine decors and the walls too. Storing items of different colors on transparent containers are great ideas as it doubles as a wall decor. I like the vintage decors used in this home. 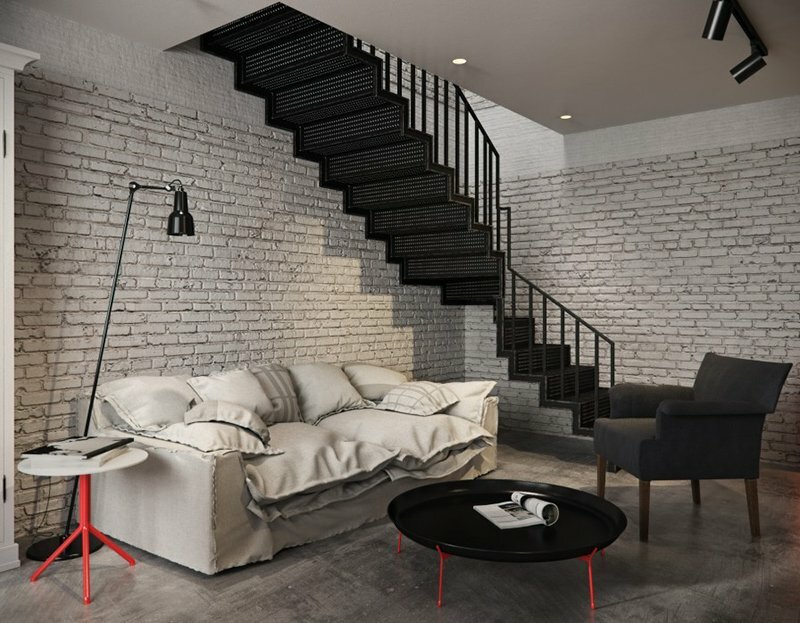 The contrast of black and white in this living room is beautiful socially the texture of the wall and the staircase as well as the pops of red on the furniture too. 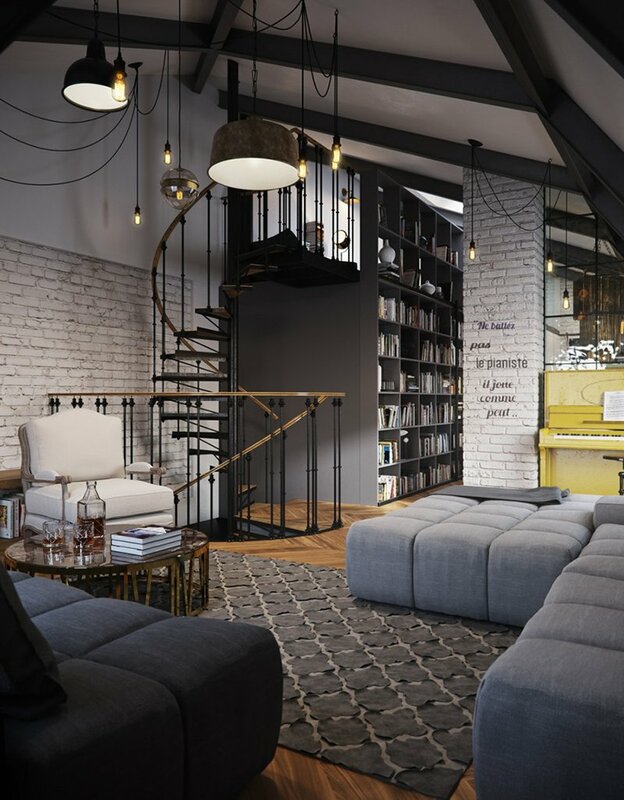 A stunning modern industrial living room with colors that fit for a man’s taste. It does looks like owned by a man. I love what they did to the wall with all those lovely types! 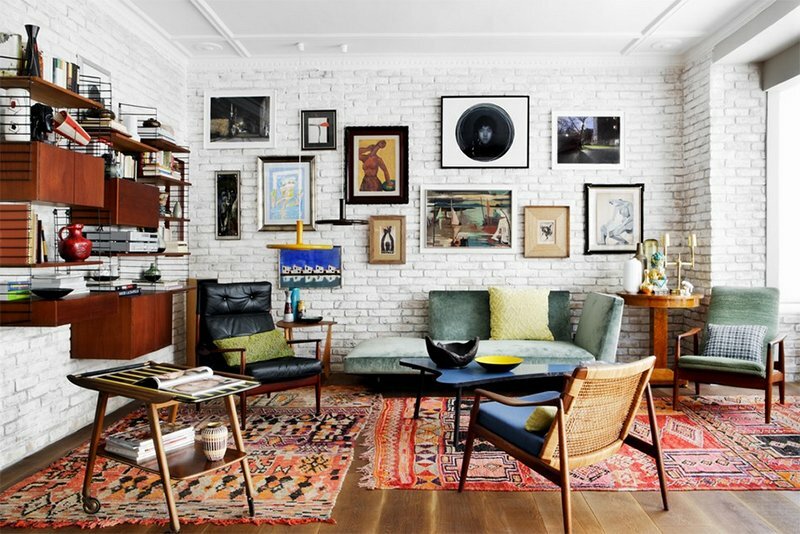 A pretty eclectic space that doesn’t just feature a gallery wall but also has different chairs. Even the area rugs are looking unique too. This living room has a traditional touch in it. What can you say about that classic wall where firewood can be stored? A minimalist living area with black furnishings that look nice with the white brick wall backdrop! 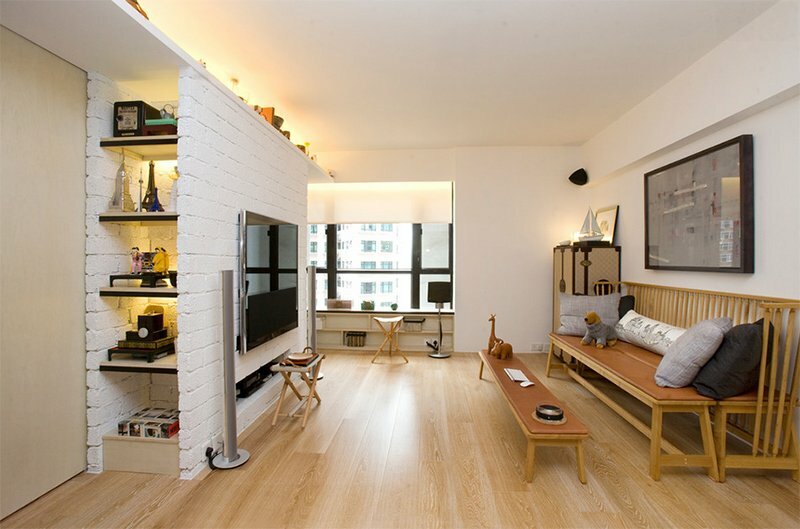 This living room projects a clean and minimal look, with a wall-mounted TV that further enhance space-saving. It used two benches Instead of a conventional soft. The benches can be separated to offer flexible seating when friends come to visit. Isn’t this space beautiful and very artistic? It sure is! Just look at the wall arts the drawers and even the bench! A relaxing space which looks one with nature as they use wooden furniture and a wooden ceiling. It is a good idea to add plants into the area. 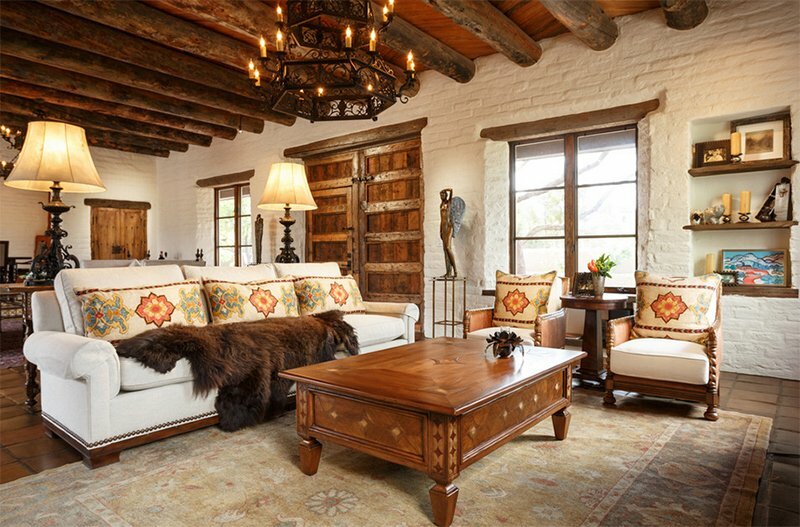 This rustic traditional space will bring you to yester years where things look sophisticated with wood, metal and patterns. I’d say this is one of my favorite living rooms in the list because of the colors they used in it. And that decor on the wall just bring more beauty to its whiteness! 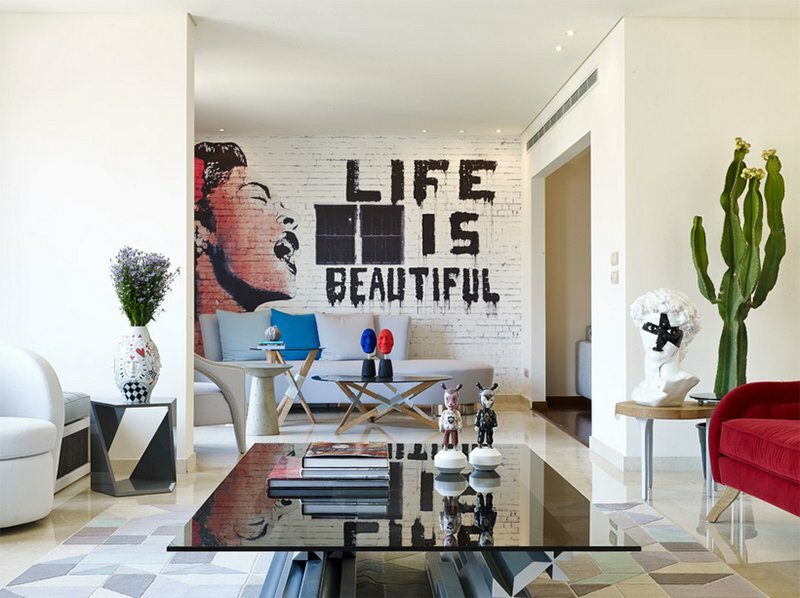 Bring in some urban art into the living room with this artwork! Lovely, isn’t it? And it doesn’t look dirty or out of place in this modern area. Patterns are everywhere in the house! You can see wood on the staircase and different lively colors everywhere too. Adding a mirrored wall brings more light into the space. 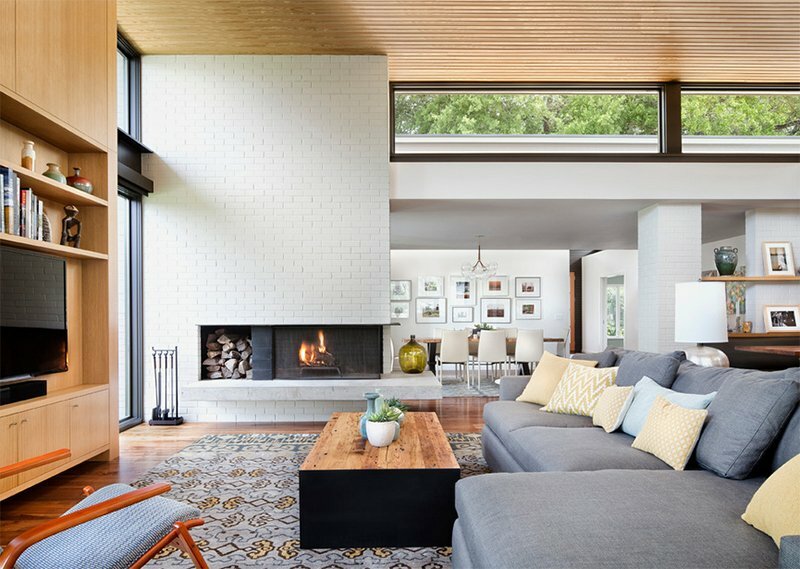 This living area looks very relaxing and beautiful. It’s like you can rest here well free of noise or disturbances. It was a good idea to paint the brick walls white to fit into the rest of the space. 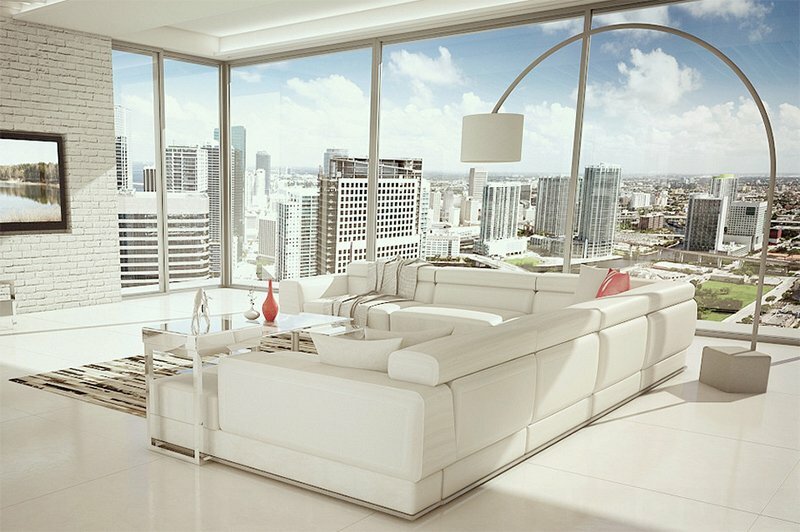 A modern condominium has a sophisticated glass center table and leather sofa. What more can you ask for when you have a stunning space like this? This open living room features a wall of glass windows and doors that lead to the backyard deck and pool. This area blends into the bar featuring a large walnut wood wall to add interest, texture and warmth. 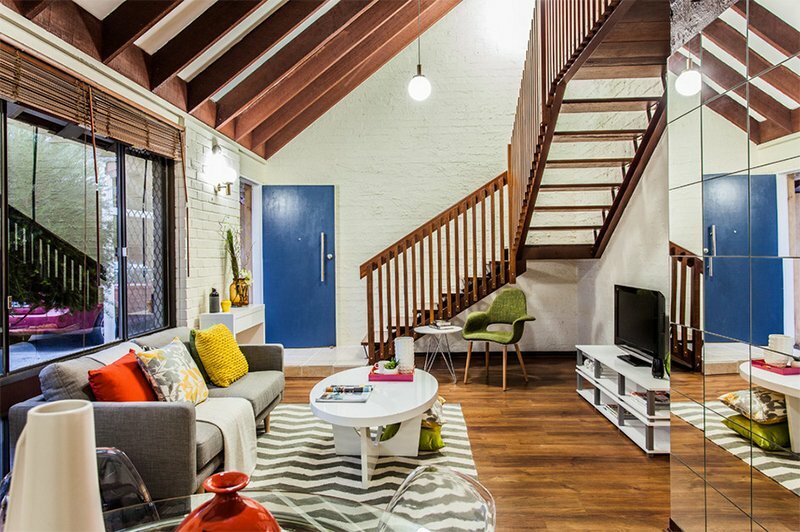 The white brick walls add more texture to the area. Aside from the texture you can see on the ceiling, you can also see that on the walls too. Love the patterns and colors used here! Such a neat luxurious space! Just look at the furniture and decors in it! 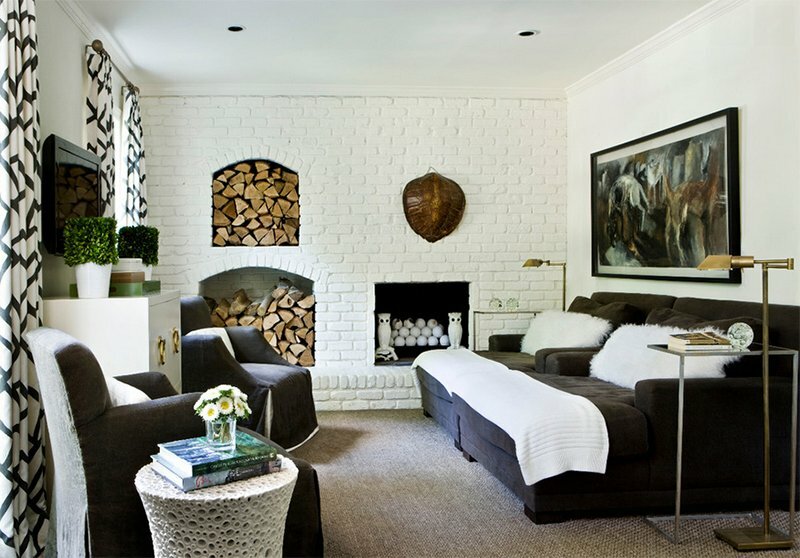 You can also use white brick walls for the fireplace too like what you can see in this living area. 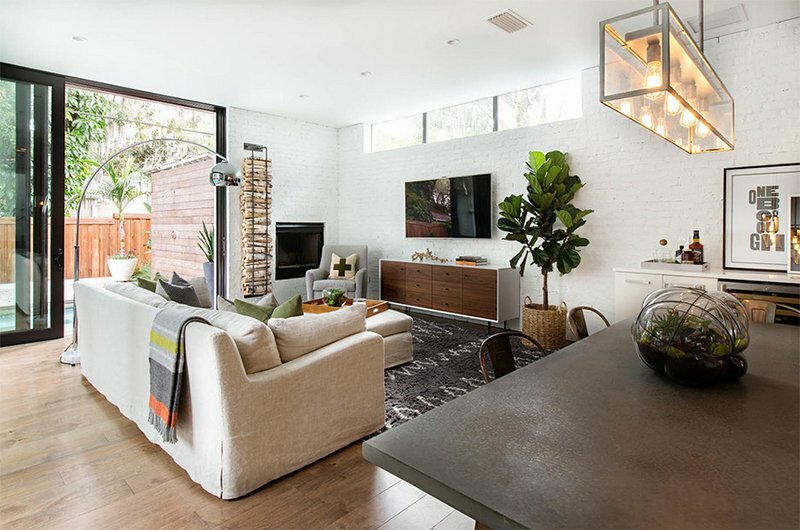 A modern space with modern furnishings and yes there is a tall plant with a brick wall in white as a background. Pretty stylish! This space is all in white and it looks grand and very sophisticated! It indeed depends on how one decorates the area. 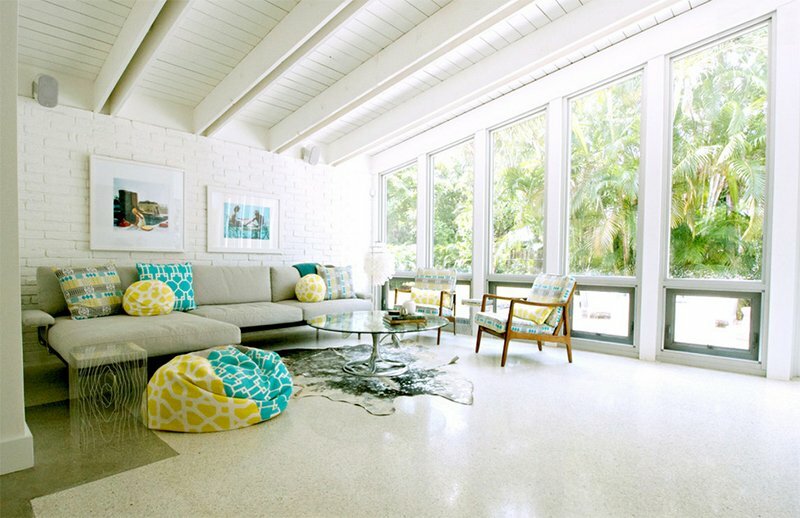 This is a spacious modern living room with patterns everywhere and pops of blue and green everywhere. Nice idea for a color palette! 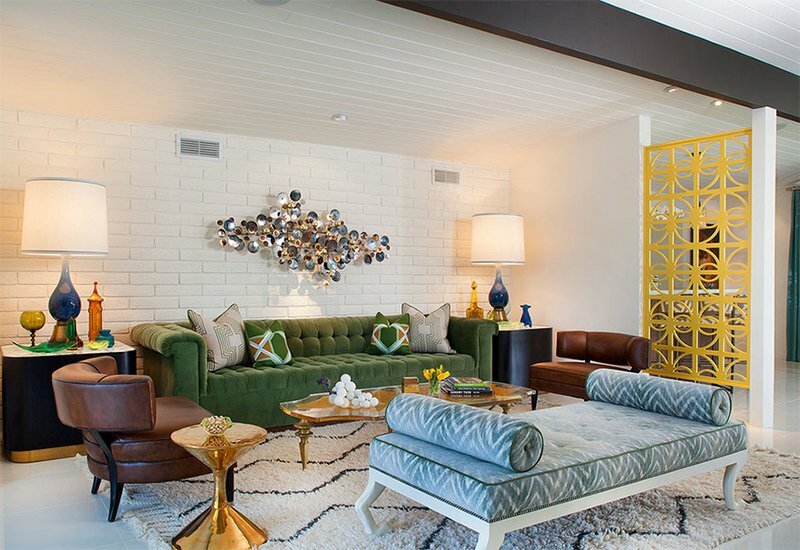 Now if you want to incorporate some vintage decors to your home, go ahead. It can look as lovely as this one! This is indeed a lovely list! I don’t know about you but I love these! They all look beautiful and just very attractive too even with its color white. Like what I said, it is the texture that actually changed the look of the area. 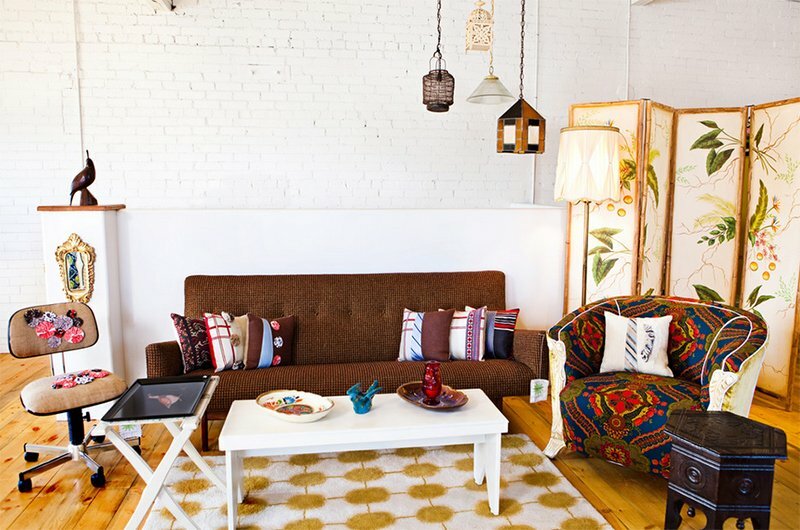 You can notice that the spaces vary from modern to eclectic ones. 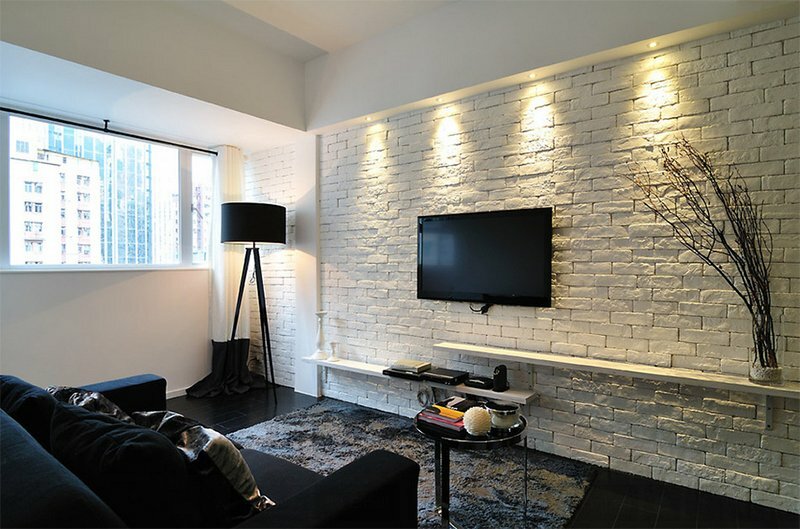 Yes, you can use white brick walls whatever is the motif or style or theme of you space is. Just be creative. You can even play with colors, patterns and textures too! Love this list? Go ahead and share it to your friends!